Utilities are one of the few industries remaining that operate a pay-after-you-use model, with monthly or quarterly bills arriving after consumption by the customer. Historically, this has led to potential contention between company and customer, as unusual or excessive use patterns are only “discovered” by the customer when monies come due. But as the internet of things (IoT) impacts business and industry across the board, its advantages are becoming more evident for utilities as well. For example, consumers don’t have to wait for their water, gas, or electric bill to assess usage. Analytics software and customer portals are giving them access to their utility data 24/7. They can even create use-limit alarms and be notified of leaks—right from their phone. IoT benefits, however, go well beyond customer service. Utilities made smart by IoT have better visibility of assets, allowing for remote assessment of problems in the field and the ability to make safer, more cost-effective, and even proactive decisions. A standard example is gas line maintenance. With the right network and devices, the utility can remotely check the lines for erosion and damage without having to dig up roads or physically survey infrastructure centimeter by centimeter. Sensus, a Xylem brand, is an innovative global company that supplies utilities and municipalities with the communication network and smart, connected devices to increase operational efficiencies, improve safety, and save customers money—all resulting in greater customer satisfaction. Regardless of utility size, geography, density, or vertical, Sensus customers benefit from the broad gamut of smart solutions provided by the company. And Sensus is a truly unique entity, offering proven—and focused—utility expertise, along with the innovative hardware and software that bring IoT to life in this industry. But the physical devices are just part of the overall IoT ecosystem. In fact, smart devices are only smart when the data they provide is consistent, reliable, and actionable. So in addition to providing sensors, meters and other smart devices, Sensus offers FlexNet, their robust communication network operating on its own FCC-licensed spectrum and dedicated to solely transmitting utility data. FlexNet gives customers secure, noise-free data transmission, with no interference from sources such as baby monitors and garage door openers. One of the industry’s only private, storm-hardened networks, FlexNet provides utilities with the scalability, reliability, and security to maximize smart in their communities. Reliability and resiliency are key because, regardless of data capabilities (via traditional or smart devices), the resources must ultimately be delivered to consumers—in normal times and during storms or crises. And given the rapid pace of technological advancements, the network must be expandable to ever-new apps and devices. Plus, as customer demands change and grow, the network has to adequately scale to handle the latest applications without compromising current services. Real-time data allows utilities to engage with customers in innovative ways, meeting the demand for immediate information access. While massive benefits can be derived from increased customer satisfaction and confidence, the information about conditions across the infrastructure means utilities are able to instigate remote actions, such as shutoff and updates, as well as proactive maintenance. Operational efficiencies result in fewer expensive truck rolls, and a proactive approach to service maintenance and restorations. The internet of things sets the stage for improved customer engagements, interactions, and response, across multiple essential utilities, anywhere in the world. In the US, the City of Dallas, Georgia, was able to bill for an additional 600,000 gallons of water, thanks to Sensus smart meters. Based on the success of the rollout, the utility is now deploying a Sensus advanced metering infrastructure (AMI) solution across its entire service area. 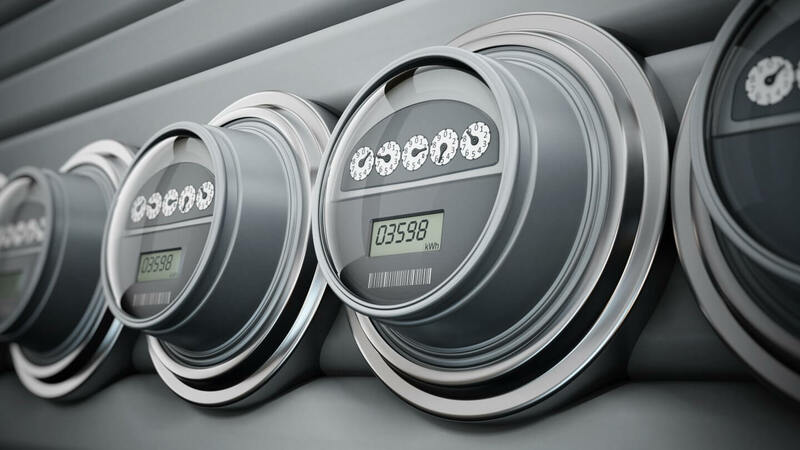 In Washington State, the Benton Public Utility District (PUD) has created a network for fast communication with electricity meters, one that would be the foundation for future applications. Benton PUD’s solution also included the Stratus electric meter. The utility team found that the accuracy of the Stratus meter improved customer service and the meter’s remote connect/disconnect functionality attractive. “This AMI solution has enabled us to improve our response time to outages and pinpoint issues we previously would have never detected,” said Hunter. To learn more about how IoT can be deployed for positive impact across any utility, get in touch with a Sensus representative local to you today.